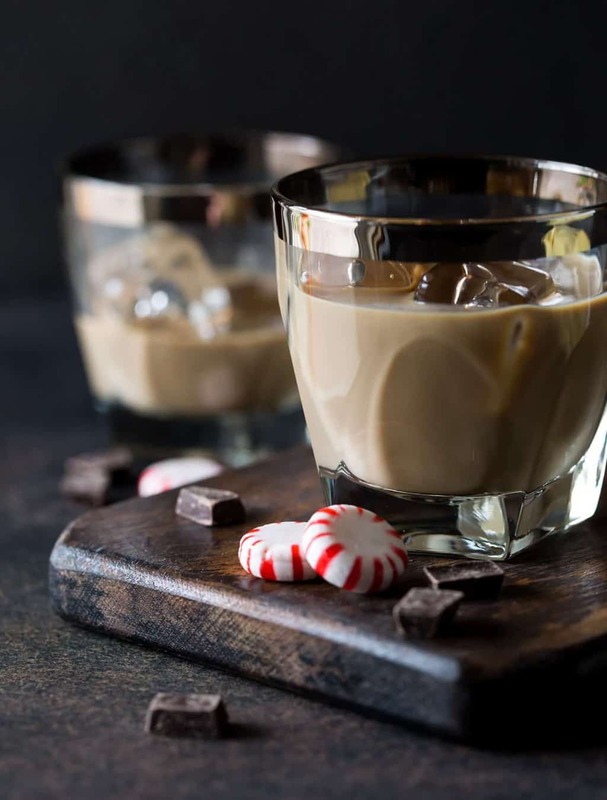 Take a break from the holiday hustle and bustle and enjoy a few moments for yourself with this decadent Mint Chocolate Irish Cream Cocktail. Ready or not, the holiday season is upon us! We all meet this time of year with equal parts excitement and anxiety over how much we can cram into the next 6 weeks. While we can’t manage your calendar or gift list (although you might want to check out our homemade food gift guide for some easy DIY food gifts for neighbors, bus drivers, etc. ), we can offer one of the things we do best around here: a new cocktail recipe. 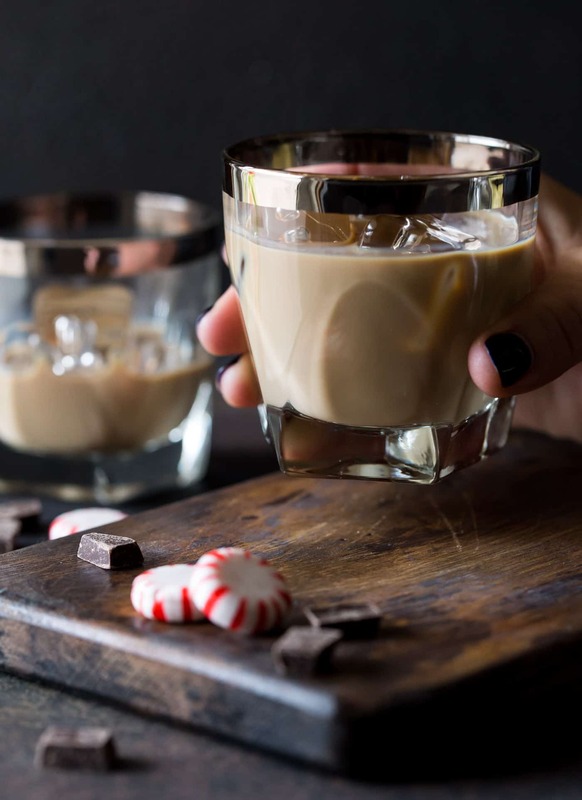 Carve out some time for yourself during the busy holiday season and relax with a glass of this indulgent Mint Chocolate Irish Cream Cocktail. Rich, creamy indulgence is probably the best way to describe this Mint Chocolate Irish Cream Cocktail. A generous pour of our favorite Kerrygold Irish Cream Liqueur is combined with the bright, fresh flavor of peppermint schnapps. A hint of chocolate liqueur and touch of half and half are all that’s needed to create this smooth, velvety cocktail – a perfect way to end any day. 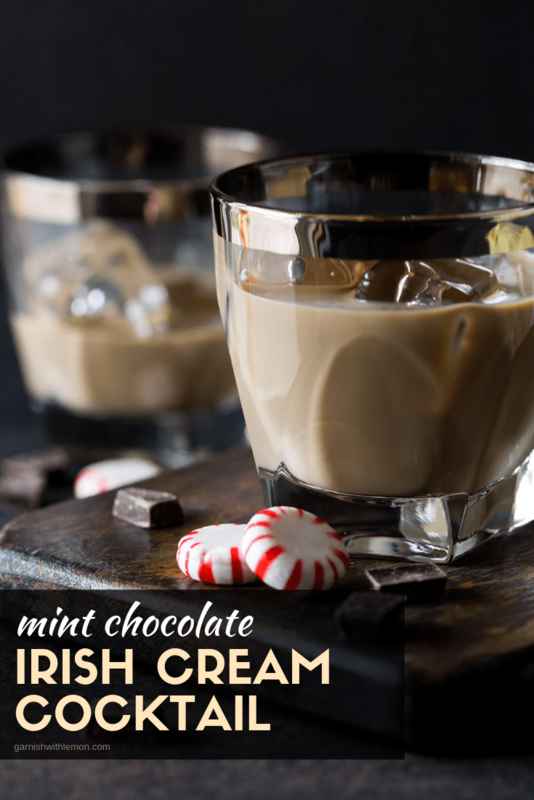 Tip: This Mint Chocolate Irish Cream Cocktail also makes a smashing signature drink for any of your upcoming holiday gatherings. Print the recipe on a notecard and place the ingredients on a table so guests can serve themselves. Combine all ingredients in a cocktail shaker filled with ice and shake until combined. Pour into an ice-filled low ball glass and serve.